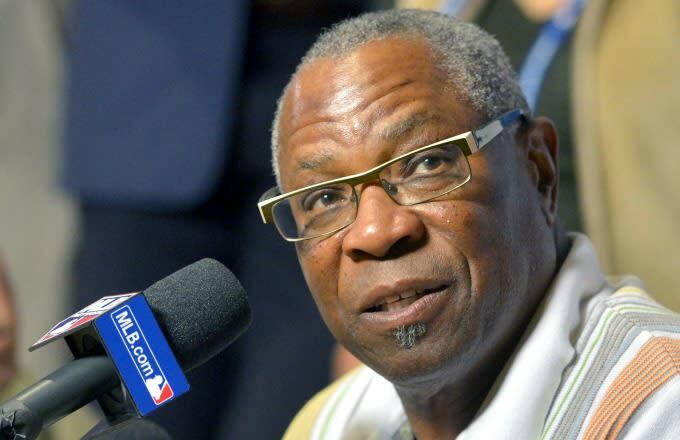 Dusty Baker hasn’t managed a single game for the Nationals yet, but he’s already making headlines. And as you can probably guess by looking at the headline for this story, it’s not for the right reasons. Baker then went on to say that he didn’t actually read the domestic violence report and also said he doesn’t “read most of the stuff you guys write," as if reporters had somehow made up the story out of thin air. There’s a chance the allegations against Chapman aren’t true. But still, now probably isn’t the best time to bring that up, seeing as how the report was just released and police are still reportedly looking into the allegations. Baker wasn’t done, either! Later on in the press conference, he was asked about what he thinks the Nats need to do to improve next season. It was an innocent enough question, and he could have gone just about anywhere with it. Unfortunately, he decided to include the line, “I’m not being racist,” in his answer and, well, as you can guess, it’s never a good sign when something like that is part of your answer. Well then. Good times at the Winter Meetings! Baker’s time in Washington is definitely off to an interesting start.